The answer as to which way to go First depends on a few things – Are you planning to sleep on the way back? Or is it the early flight from JFK where you may be too tired to appreciate First anyway? 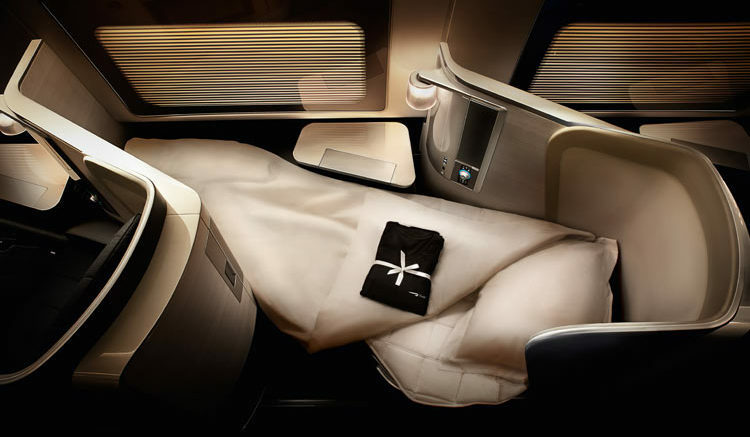 For anyone wondering what BA First class is like, you can read our 2 BA First reviews here and here. I always travel out in First and back in Club since I tend to dine before short night flights and then try to sleep on the way back. Although the First bed is better than Club and has aisle access, I don’t think it’s worth wasting Avios on just to sleep. This may also depend on the aircraft type as well (see below). In terms of the lounges the JFK ones are due to be refurbished and although they are OK, they are pretty dated. You can read about the Club and First lounges in this review. 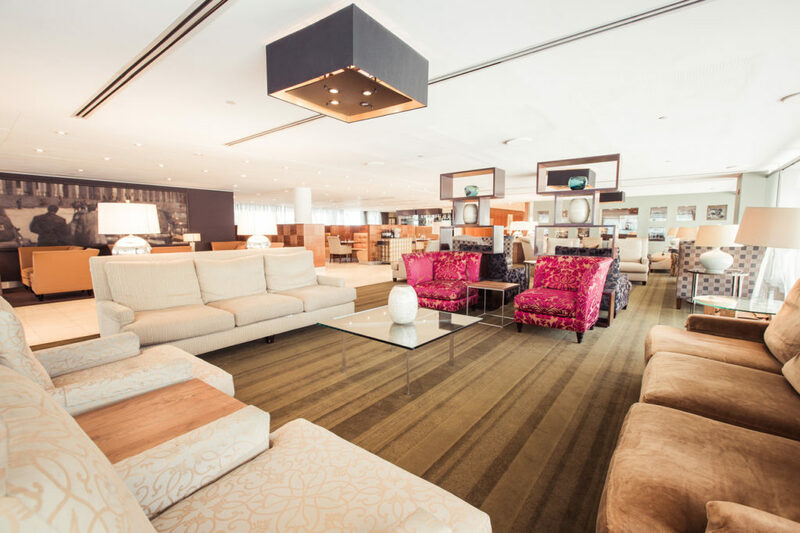 The Concorde room has been undergoing a minor makeover at Heathrow and is due to be finished this month. Both now have the First wing. At JFK the Club check in and premium security is OK except at peak times, although I haven’t been through since they opened the First wing. The First Wing at JFK echoes the design of the First Wing at Heathrow T5, providing a private check-in area with podium style check-in desks, seating, baggage porters and access to fast-track security. It is not the same as Heathrow with completely separate security though as you simply come out at the front of the premium security queue. The rest of the refurbishments are due to be finished by the end of 2018. Personally, I would still go for First on the outbound. The Concorde Room at JFK has no shower suites, cabanas or any other private rest areas, unlike Heathrow, but showers are available in the separate Galleries lounges. 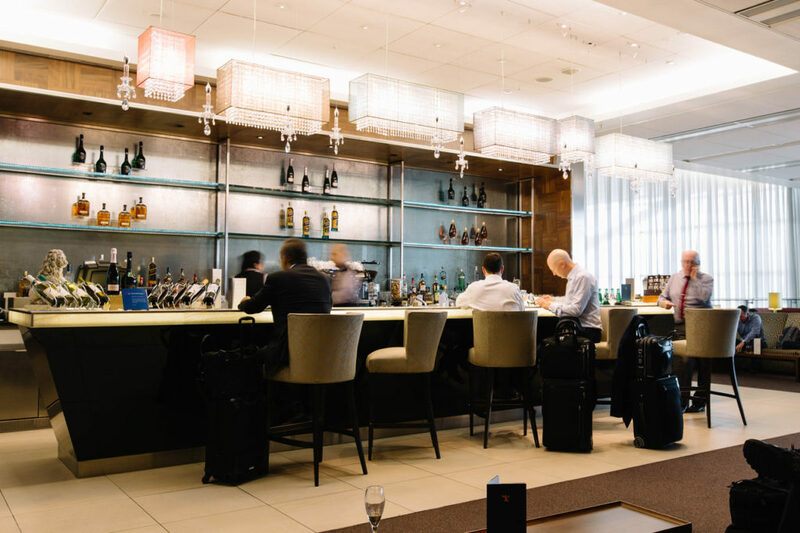 Although they still have cocktails and à la carte dining in private booths at JFK, they don’t have the fabulous Laurent Perrier Gran Siecle Champagne in JFK either which retails at over £100 a bottle. BA use a variety of aircraft on JFK, B747 and B777 but there are several types of configuration of B747. I would avoid the B777 for the Club segment and go for a refurbished B747 on the Upper deck which I talked about in the reviews section of the blog. In terms of First, unless you are Gold you can’t pre-book 1A or K on the B747 anyway so it doesn’t really make a lot which aircraft type you choose for First. If pushed I would probably go for the B747 anyway as the cabin feels a bit more intimate. I would, however, try to pick the refurbished B747 as the Tv screens have much better definition and the entertainment system is much newer. Booking seats in First class is still thankfully free, unlike Club World on British Airways. Your choice of seats depends on whether you want to sit with someone or would rather have a window seat. If you have a window seat there is a buddy stool where you can join someone for the meal, but you wouldn’t want to sit on it for much longer than that. 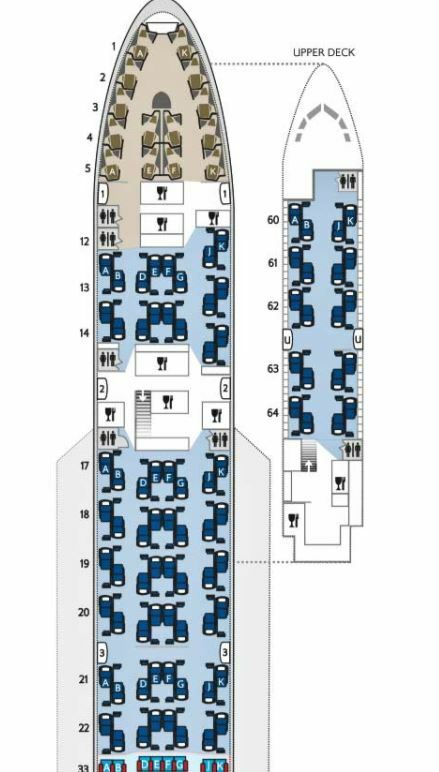 Row 1 will be blocked off for Gold Card Holders from BA’s Executive Club and VIPs which is good for travel companions who want to sit together but still have the window seats. It is possible to talk between the seats but you aren’t within touching distance. However, they do have the advantage of being the most private seats. If you are not BA Gold you can sometimes still snag them at on-line check-in or even closer to the flight. 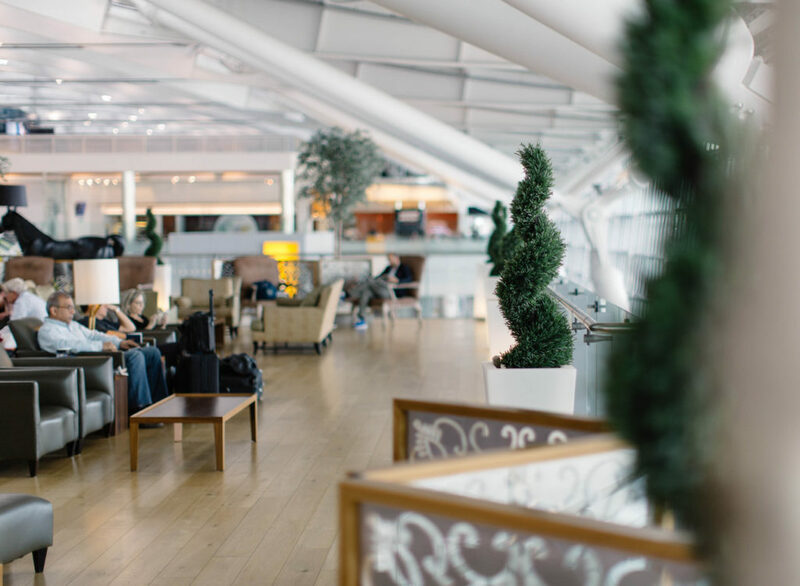 Remember when you do on-line check-in, don’t download your boarding pass or print it unless you are happy with your seats. Until you do this you can keep checking for a better seat to switch to. 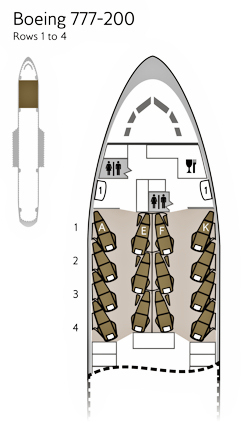 If you are trying to get seats on Avios in First I wouldn’t bother too much about aircraft type. However, coming back I would definitely recommend avoiding the B777 in Club. It is nicknamed the “flying dormitory” due to the large, rather soulless Club cabin. I much prefer the B747 on the Upper deck. The window seats are very private and have lots of extra storage which can be used as an extra shelf too. 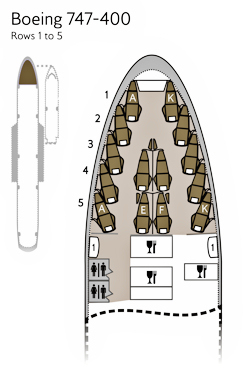 The B747 has two configurations, one of which has been refurbished. This is the one to go for. You can tell the difference by the number of seats in Club which go between rows 13 and 22 on the lower deck on the refurbished B747. If you enter your flight number and date of travel on SeatGuru it should be able to show you the seat map for your aircraft. Bear in mind it is not always 100% accurate and aircraft swaps happen regularly. If this is your first time in BA First I recommend reading: Reader question: My first BA First – how do I maximise it? Have you flown BA on both the B777 and B747 in First? Which would you recommend? Do you have a favourite seat? Let me know in the comments below or on social media. 2 Comments on "Reader Question: One way First on BA and best aircraft types?" I’ve flown first several times on 777 and a few times on a 747 (to JFK and back). IMHO any first seat is good but 1A & 1K on the 747 , if you travel as a pair, are very good. Very true Les – my favourite is the 787 with the improved IFE and smaller cabin.